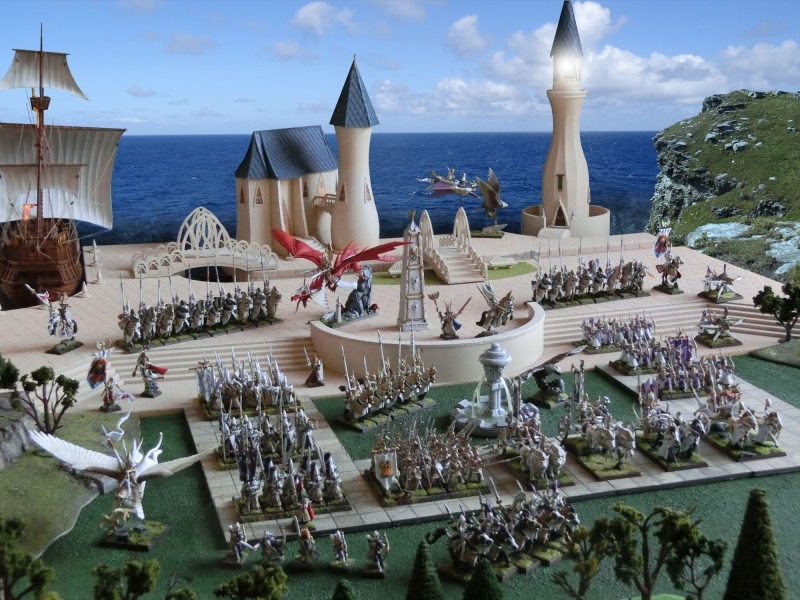 This is a Warhammer Skirmish scenario I remember seeing a few years ago on the net. I've had to make up my own rules, but after a few tweaks they seem to make for a great game for 2~6 players, in under an hour. 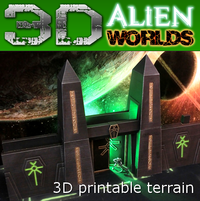 We used this as a demo game at a recent event, and it was very well received - you don't need any experience of the game to play it, and it's so laughably funny that nobody cares if all of your team gets eaten!? Rocks are placed in the middle, with the squigs randomly scattered around the centre of the board. One tunnel marker is placed around the edge of the board for each player. For the demo event we used identical goblin models, so we had to colour-code models and tunnels with coloured paper. Having different models would work just as well. Each player's goblins are placed in front of his/her tunnel. That's the tunnel you have to return to to dump squigs. In a large cavern under the goblin-infested mountains, it's squig hunting season! The bravest and stupidest goblins from each of the local tribes have set out to net as many wild cave squigs as they can, for food and/or fearsome mounts in battle. For a 2-player game, try using 5 squigs. For a 3-player game, try using 8 squigs. 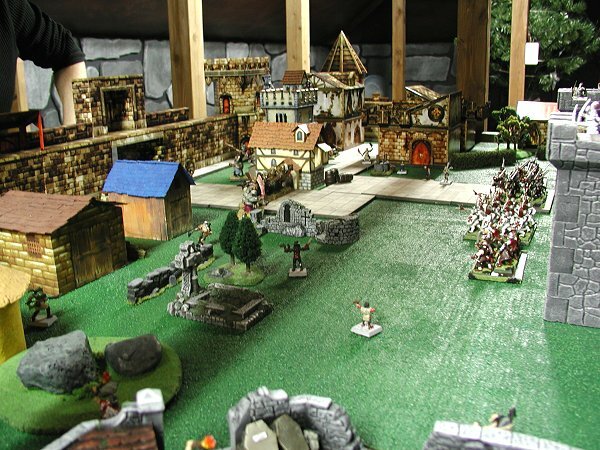 For a 4~6 player game, try using 12 squigs. Crikey! Squigs start first every turn, each moving 4D6 centimetres in a random direction. They won't leave the board, as the edges are cavern walls, but will skirt around it as they try to find a dark crevice to hide in. Any squig bumping into a goblin will eat him on a 3+ roll. In subsequent turns, each captured squig will break free on a roll of 6. 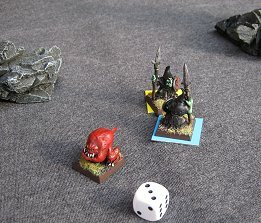 Any squig starting the turn in base contact with a goblin model will react randomly, fleeing a normal move on a 1-3 or attempting to eat him on a 4-6 (see above rule for "eating"). This applies for squigs freeing themselves that turn. Each player picks a number card to decide turn order. This changes each turn. First player's goblins may move 16cm in any direction, even stepping out of combat. Any goblin moving into base contact with a squig may attempt to net it on a 4+ roll. The squig cannot fight back, and will only react in its own turn. Successful catches need to be carried (8cm per turn) back to their tunnel exit. Lay the model down behind the lucky goblin. Any goblin moving into base contact with an enemy goblin may attempt to attack them as normal. They hit on a 4+, and wound on a 4+. No saves. 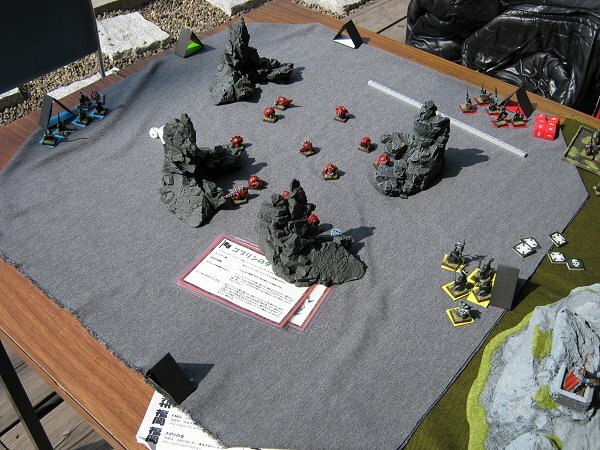 The enemy model cannot attack back until his own turn. Any casualties are removed. Any captured squig carried by the enemy casualty will be transferred to the victor. Player 2 can then move, fight, attempt catches etc, and then Player 3, 4, 5 and 6. Play then returns to the squig turn. Turn order is decided randomly, using the number counters. Models can leave combat at any time (goblins are not known for "fighting to the last"). Models can only attack in their own turn. Successful goblins leaving the board may return the following turn. PS. 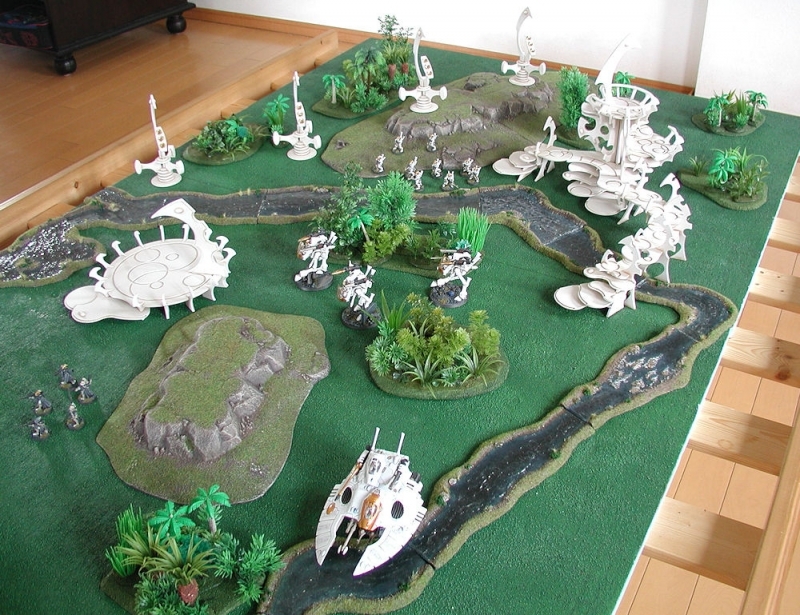 You could play this scenario in inches, but the rules above are for centimetres. Just because it's a funny photo, I'll put this in. When we played a 4-player match, I got all but one of my goblins killed pretty quickly. 3 of them died at the hands of my neighbouring tribe, after I tried to steal his netted squigs! That left the remaining two players to grab 4 squigs each, and eventually we were all chasing the last remaining squig around with only 1 or 2 models each. My last remaining goblin got eaten after the netted squig freed itself (twice! ), and in the end there were only the two top contenders left.... that's the photo. The yellow player decided to bash in his final competitor instead of going for the squig. With him out of the way, the lone goblin advanced on the last squig which was trying hard to bounce into a nearby dark crevice. With a mighty shout he charged forward, throwing his net over the squig. Sadly, fate was not with him that day, as he caught his hood with the edge of the net, pulled it down over his head and fell over in a pile. Not one to look a gifthorse in the mouth, the lucky squig took that opportunity to gobble him up. Yum!